synergy2 is a comprehensive web-based solution for captives, providing transparency, efficiency and regulatory compliance . Our solution delivers stakeholders with an accurate assessment of risks, supporting the successful running of their captive operations across the entire life-cycle - underwriting, claims, reinsurance and accounting. 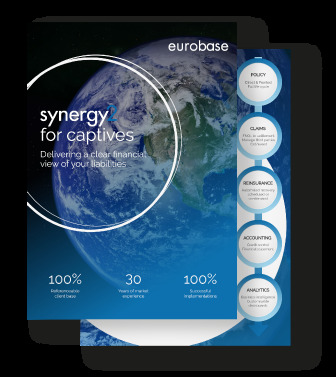 What can synergy2 do for your captive business? 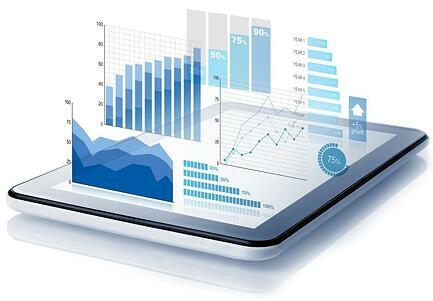 Multiple spreadsheets and disparate databases are no longer sufficient solutions when dealing with the volume and complexity of data required in maintaining a healthy captive enterprise. Combining insurance and reinsurance in a single platform. Simple and easy to use import tool for electronic messaging and bordereaux from multiple sources. "We selected Eurobase’s synergy system as we believe it is the most modern technology available. Eurobase was also flexible in handling our requirements and was capable of supporting both the reinsurance and captive operations which was vital to our needs."